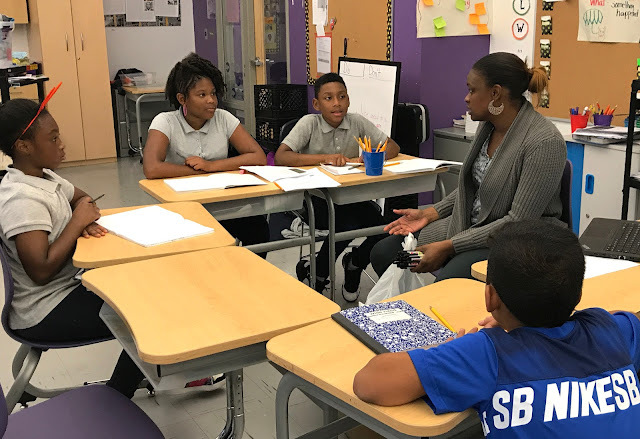 The poet-athletes of Amidon-Bowen were so awesome with me on my first day as an intern, so I was very excited to go back and check out the progress of their Fight 4 Fitness campaign. As always, the Tigers started with some soccer practice in preparation for their next game day. 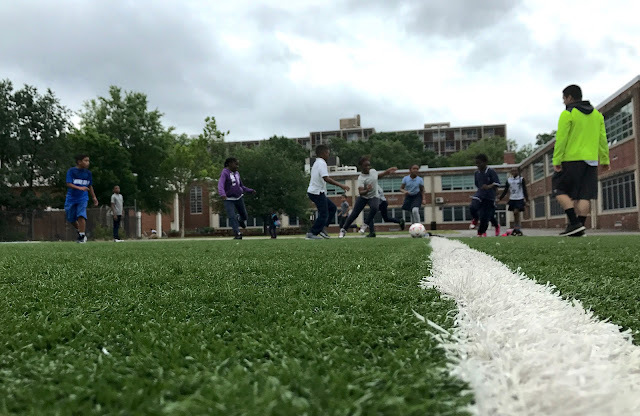 A scrimmage between the boys and girls got their enthusiasm going and the penalty shooting drills got their minds in the right place to start working on their service-learning project. Once practice was over, everyone split up into their committees and went right to work. This session was all about putting their plans into motion and getting ready to execute them by showcasing the importance of maintaining a healthy lifestyle. The coaches and staff were a great resource for the kids to get organized on all the tasks they set out to complete. 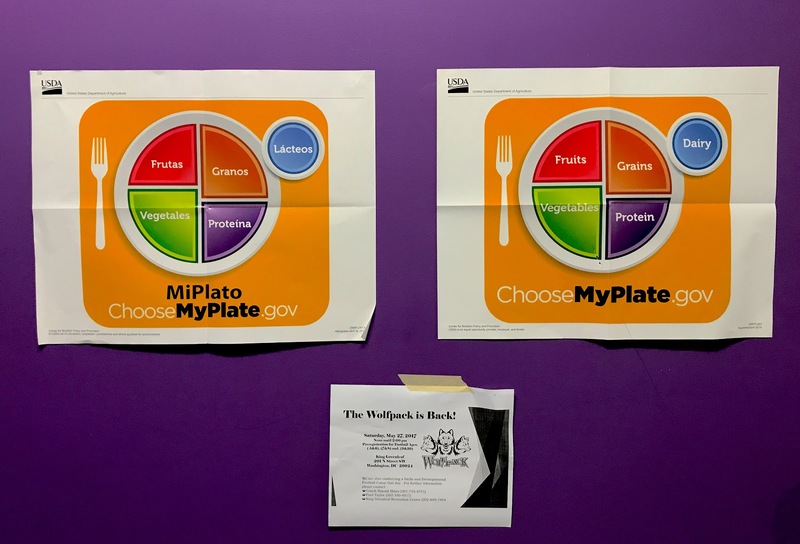 Mr. Keck was assisting the Marketing committee in putting up posters in the school hallways, available in English and Spanish, that highlighted healthy food proportions. Coach Pecot worked alongside the Information Desk committee to gather all the supplies they were going to handout to the student body, including water bottles, pencils, and flyers with healthy living tips. 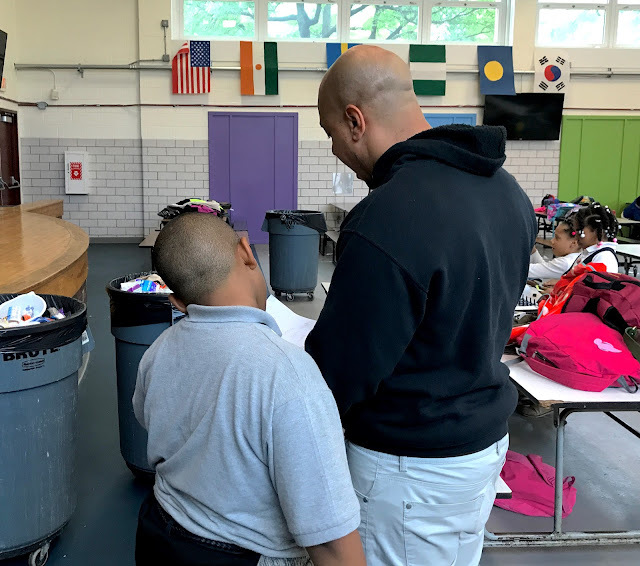 In the school cafeteria, Coach Lee assisted the Media committee in practicing their morning announcements, which included poems written by the kids. 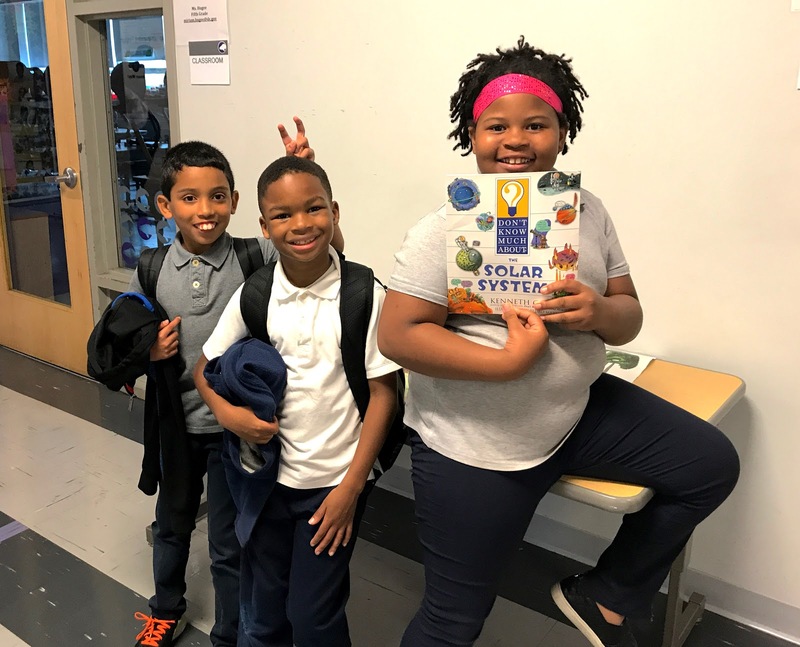 Earlier in the week, the Tigers had worked on a PowerPoint presentation and gathered pictures showcasing specific foods and recipes the Amidon-Bowen students can start incorporating at home. With the school year wrapping up soon, the Tigers hope to make an impact within their community by really emphasizing the importance of a healthy lifestyle by talking one-on-one with their classmates about how easy it can be to adjust our habits. 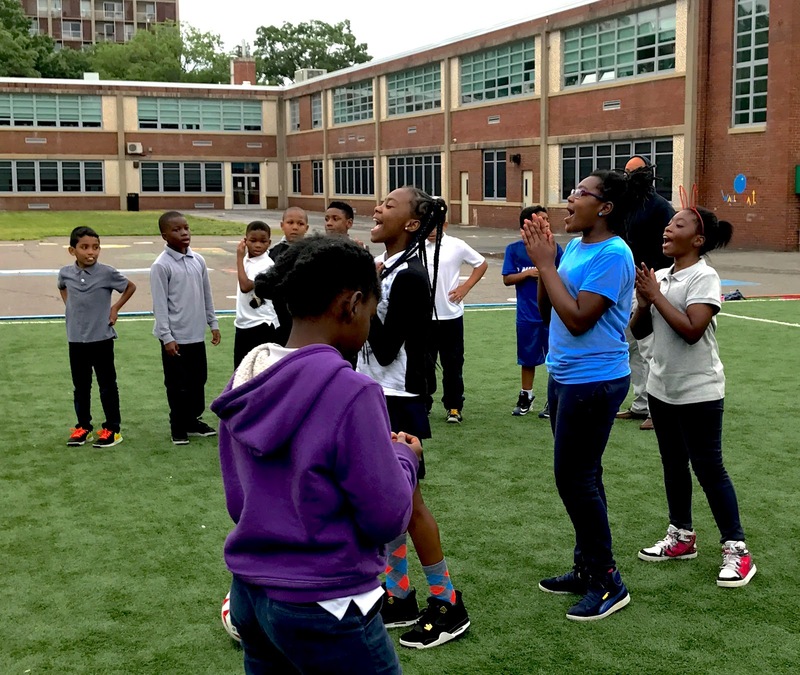 It's obvious how much this service-project has changed the kids' view on being healthy. They're all so excited about their plans and are constantly discussing their favorite fruits and vegetables (strawberries and cabbage are the top picks for each). I can't wait to go back and hear about the success and impact their Fight 4 Fitness campaign has been among their community!